With a comprehensive range of projects in train, Centaurus Metals Ltd (ASX:CTM) has been actively managing its portfolio. Recently it divesting the Conquista Iron Ore Project in Brazil, in order to focus on base and precious metal exploration in the world‐class Carajás Mineral Province in the northern region of Brazil. However, the company maintains a strong interest in iron ore through its shovel-ready Jambreiro Project, located in south‐east Brazil. The project is licensed for 3 million tonnes per annum of wet production, representing a strategic asset in the Brazilian domestic iron ore and steel sector, particularly with the premium pricing that exists in the market for high grade ore (+65% Fe). Jambreiro has the capacity to produce such ore, and management is in the process of analysing data with a view to establishing capital and operating expenditure metrics which would support joint venture discussions. However, in the interim the company will maintain its focus on base metal exploration in the Carajás province. 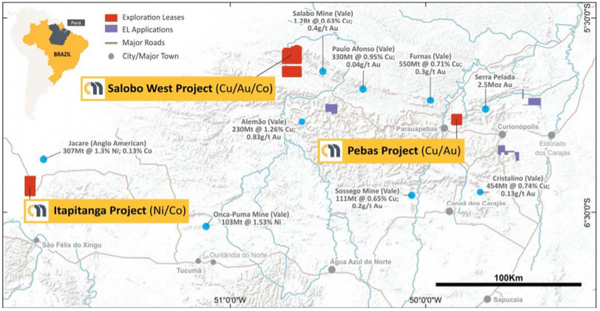 Centaurus’ Itapitanga Nickel‐Cobalt Project, the Salobo West Copper‐Gold Project and the Pebas Copper‐Gold Project are all located in the Carajás Mineral Province, considered to be one of the world’s premier mining regions. The following map shows the location of the projects, their key commodities and the relatively close location of large resources and/or producing mines. Centaurus' key projects and commodities. More than 20 world‐class mineral deposits lie within a 300 kilometre by 100 kilometre area, including 10 Iron Oxide Copper Gold (IOCG) deposits with resources of more than 100 million tonnes of copper‐gold ore. These IOCG mines and deposits, in addition to several other IOCG prospects that are under exploration collectively contain resources of more than 4 billion tonnes of copper‐gold ore. The Carajás region also hosts multiple world‐class, large‐tonnage nickel‐cobalt projects including the Onça‐Puma nickel mine and the Jacaré nickel‐cobalt project, in addition to some of the world’s best iron ore deposits at S11D and Serra Norte. Shares in Centaurus spiked more than 30% in late November when the company executed a binding earn-in joint venture agreement in relation to the Itapitanga Nickel-Copper Project in northern Brazil. Under the agreement with leading battery metals processing company, Simulus Group, it has the right to earn up to 80% of the project in stages by free‐carrying Centaurus through the entire exploration, resource evaluation and feasibility process to a decision to mine and arranging finance for the project. This is an important development for the group as access to finance for exploration projects is often a stumbling block for smaller companies. The size and scale of projects in the Carajás has resulted in significant investment in key infrastructure for the region, which will provide benefits to Centaurus as it looks to grow its business in Brazil. A 40‐tonne bulk sample of nickel and cobalt mineralisation is being shipped from the Itapitanga site to Perth, Western Australia to be run through Simulus’ demonstration plant, the largest of its kind in the Southern Hemisphere. The bulk sample will provide a sufficiently large and representative ore sample for feasibility study‐level flowsheet optimisation to be undertaken, allowing the flowsheet currently being proposed by Simulus to be confirmed and the required engineering design data to be collected. The demonstration plant program will also provide battery‐grade nickel and cobalt sulphates and samples of high purity scandium oxide and high purity alumina for marketing purposes and negotiations with potential off‐take partners. The bulk sample collection process also provided the partners with an opportunity to undertake a preliminary assessment of the excavation process for any future mining, along with initial groundwater studies to assess site water quality and availability near a number of potential plant locations. Based on the trench work completed that reached around 10 metres in depth, it is expected that most of the high grade nickel‐cobalt ore will be free dig from surface. Assay information from the trenching will provide further support for the maiden JORC resource estimation for the project in the near future. 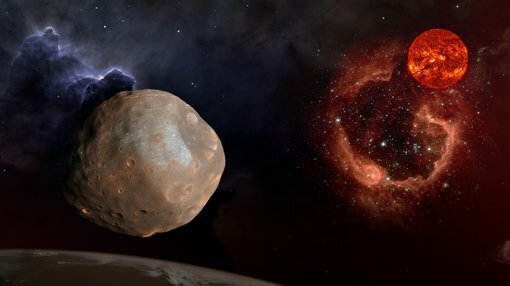 With such a large portfolio of projects, there is likely to be important, comprehensive and regular news flow throughout 2019, and this has the potential to provide share price momentum.